Innovative Robotic Technology for Orthodontics – Reinventing the Science of Braces! With SureSmile braces, we’ve turned orthodontic precision into an art. Precision means less treatment time in braces, fewer orthodontic visits, and higher quality results. What age groups can benefit from Lingual Orthodontics? Age is not a factor. If it is appropriate for a patient to start treatment with braces, it is appropriate to choose lingual or traditional. Our patients with lingual braces have ranged from 11 to 64 years of age. This can only be determined by the orthodontist, based on the complexity of the problem. A ‘normal’ case usually takes between 8 to 14 months using suresmile. How often will I need to visit the orthodontist during treatment? Since the advent of high technology appliances, patients need only come in once every 4-10 weeks. As with traditional braces, it may be uncomfortable for the first several days. Orthodontic wax, over-the-counter pain relief tablets and a soft diet will help through this period. How difficult is it to clean my teeth with braces? More time and care are required while wearing any type of braces, but Lingual braces have actually proven safer, since the inside of teeth is more resistant to decalcification. Will my teeth move after the treatment is completed? You will receive a personal retention plan to help you protect your beautiful smile! Is Dr Wong experienced in other types of treatment? Most certainly! Inquire about traditional metal and clear braces, or lingual braces! 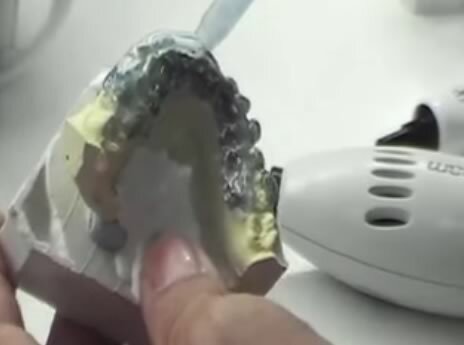 Dr Wong uses a wide variety of orthodontic appliances to achieve optimum results. YES! Call to schedule a consultation and detailed analysis of your smile and its future!